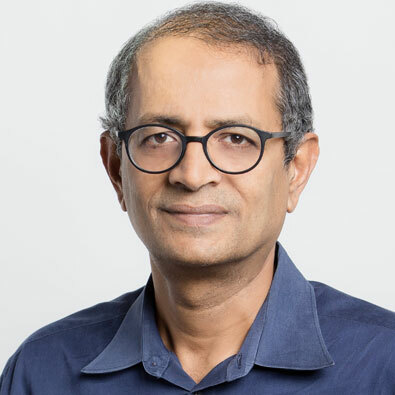 Nagpurnanand Prabhala, an expert in empirical corporate finance and financial intermediation, has joined the Johns Hopkins Carey Business School’s full-time faculty as a professor in the research track. His appointment took effect January 1, 2019. Prabhala comes to Carey from the University of Maryland, where he held an appointment as professor of finance and served as the chair of the finance area since 2017. He received his PhD in finance from the New York University’s Stern School of Business in 1994. He spent his early academic years at Yale University before joining the University of Maryland in 1999. Prabhala's expertise is in the areas of corporate finance, financial intermediation, financial technology, and empirical methods in finance. His recent research focuses on the threats and opportunities posed by technology-driven “FinTech” intermediation, such as peer-to-peer lending and robo-advising. He currently holds associate editor positions at Financial Management and the Journal of Financial Services Research. He has made significant contributions to institution building beyond academia, as when he served from 2014-2016 as research head at the Centre for Advanced Financial Research and Learning (CAFRAL), Reserve Bank of India, developing research capacity to serve the needs of India's central bank.